Premier McNeil, please don’t raise taxes on small business. John Bulloch founded the Canadian Federation of Independent Business as a result of the Canadian government’s White Paper on Taxation in 1969. The issue of the day was the federal government’s consideration of raising the small business tax to generate revenue. Thousands upon thousands of small business owners fought back. It was CFIB’s founding victory. 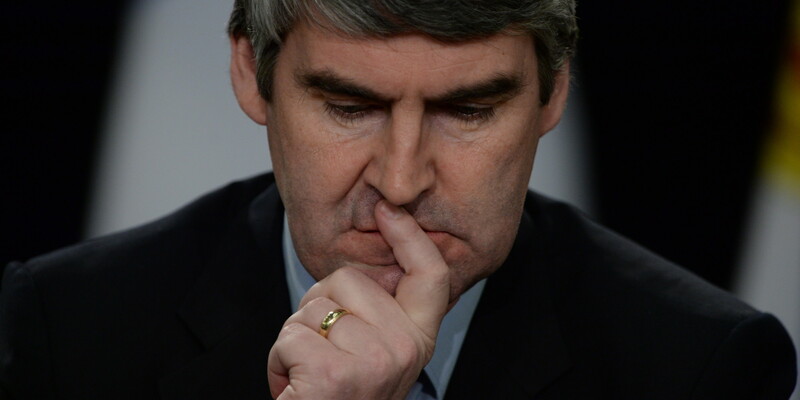 Forty-six years later in Nova Scotia, CFIB is leading the way on the same fight. When the Nova Scotia Tax and Regulatory Review was handed to the Finance Minister by its author Laurel Broten, CFIB was quick to applaud a broad array of sensible tax and regulatory recommendations. However, the proposal to raise the small business tax to pay for a tax cut for big business was one of the recommendations that stood out like a sore thumb. In the report, Broten used theoretical arguments presented by Dr. Jack Mintz of the University of Calgary in a paper written in 2011. To its credit, the Mintz paper did note that small business tax policies were put in place to recognize small firms’ more limited access to capital financing and excessive compliance costs and cash flow issues. Unfortunately Mintz promptly went on to ignore these realities and theorize that small businesses choose to stay small because of a “wall” of taxation once they begin to grow. While academic theories can be useful, they don’t always reflect what’s happening in the real world. Entrepreneurs start businesses to succeed, to be self sufficient and to contribute to the economy and their communities. With hard work, innovation and dedication, some eventually do grow into large businesses. The additional burden of unnecessary red tape, paperwork regulations as a firm grows is much more likely to force an entrepreneur to stay small compared to the fear of losing access to the lower rate of taxation. Here in Nova Scotia, small business must contend with some of the most punishing taxes in the country. In our most recent survey, 85% of CFIB members identified the overall tax burden as the most important issue to their business. When asked what would help small business in Nova Scotia, 75% said reducing the overall tax burden. The message is pretty clear. While CFIB members have called for and continue to support a reduction in the corporate tax rate to attract investment, tax cuts for big business cannot be funded on the backs of small business owners. It is CFIB’s view that should the government go ahead with this plan, it would essentially off-set any other sensible recommendations adopted from the Tax and Regulatory Review. An increase in the small business tax rate would make it harder for small business owners to make investments in their operations, increase employee wages, and compete with businesses from other, lower-tax jurisdictions. It’s simply a bad idea. What gives me hope is that we have a Premier who was a small business owner well before he became a politician. He will know better than most of the joys and challenges of entrepreneurship, and the impact such a change would have on small business owners in Nova Scotia. Should the Premier want to examine the political calculus, he needs only to look next door to see an example of what not to do. The Graham government in New Brunswick bought into the theory of hiking the small business rate and, after that theory failed and he lost power, later governments reversed course and reduced it once again. CFIB wants to ensure all Nova Scotia small businesses wanting to establish and grow in our province have every opportunity to become a medium or large-sized business. In fact, CFIB’s small business members do supported cuts in the general corporate income tax rates, however, we truly wish that big business advocates, such as Ms. Broten, now the head of Nova Scotia Business Inc., would stop calling for increasing taxes on small business as a way to offset those reductions. If the 2015 budget does include a hike in the small business corporate tax rate, it would serve as a declaration of war with small business owners. Let’s hope we don’t go there. Previous PostPrevious Scammers, cheats and thieves…alive and well with credit cards.